My decision to move, travel and work in Australia surfaced from personal goals and being offered an 11 month career break from working in the National Health Service at a Hospital in England. I had no idea where to start and firstly searched the internet for agency support. I sent e-mails to a number of agencies who assist allied health practitioners with working abroad; however, it was the quick response and efficiency of Global Health Source that helped me decide to choose them. I was allocated to Joanna who was very friendly and more than happy to answer all my anxious questions and support me throughout the whole process. Joanna maintained regular contact via e-mails and phone calls. She provided me with all the information required and guided me through gaining Australian and New Zealand Occupational Therapy (OT) Registration prior to my departure from the UK. Joanna also assisted in providing information on visas and advised what work was required to be completed prior to my departure (such as copies of references, CV’s and personal statements). Upon my arrival in Australia I decided to travel for a short period, with Joanna again keeping in good contact. It was in the second month of my stay in Australia that Joanna was able to inform me of a position in Tasmania, working full time (maternity cover) and in a setting that I was familiar with. The position seemed well supported with a well staffed OT team and basic hospital accommodation on site. I provided Joanna with my CV, references and supporting personal statement and heard from her a few days later informing me that the position had been offered to me. Joanna again was very efficient in sending me all the required paperwork and contract for the position. Joanna telephoned me the first day that I arrived in Tasmania and again after my first day working in the position. My contract in that position lasted just under 6 months as I wished to travel Australia and New Zealand within my career break. 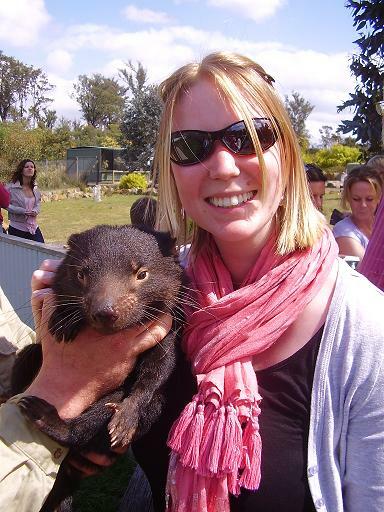 I had a great experience working in Tasmania, the OT team was fantastic and I was offered a sponsorship visa however, my commitments with my OT position in the UK were greater. From my experience I’ve taken a number of personal and professional skills with me. My recent travels in New Zealand have certainly tempted me to consider practicing OT there. There is no doubt from my experience that I would choose Global Health Source again to assist with this transition. Joanna and the GHS team are extremely friendly and supportive and have a very good understanding of how challenging moving abroad can be. Now I know what support there is I’m very excited about what my future career holds and where it will take me!